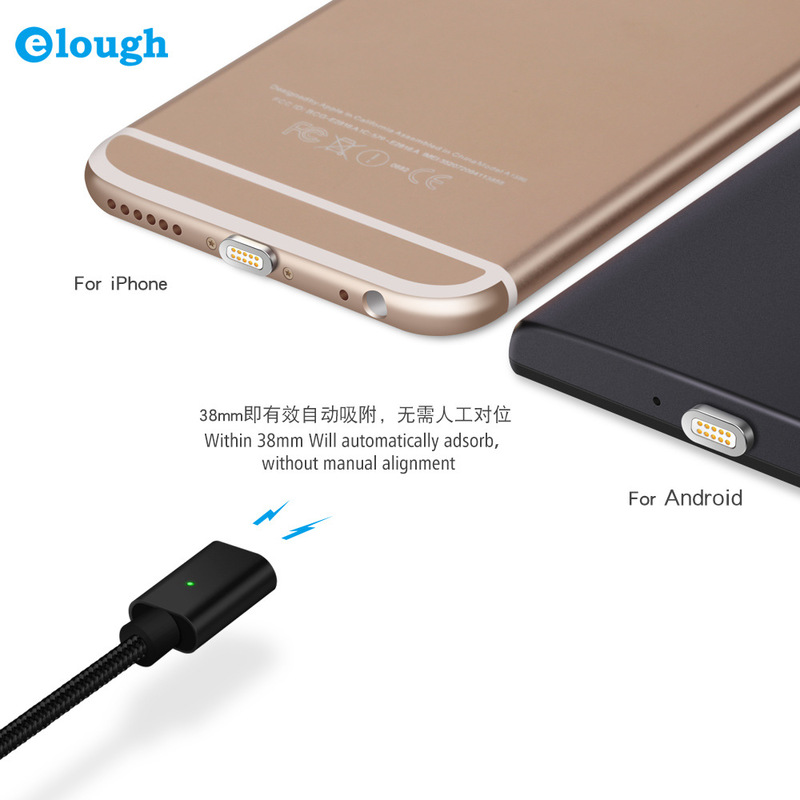 Strong magnetic force and connect within 1 second for charging and data transfer. - Double sides blind magnetic adsorption for Apple plug. - LED indicator light for charging. For Android Suit for for Xiaomi HTC Huawei Samsung Sony Moto and so on.